Worker and Kolkhoz Woman is considered as an ideal and symbol of the Soviet era, it is great example of the socialist realistic ary and Art Deco style. 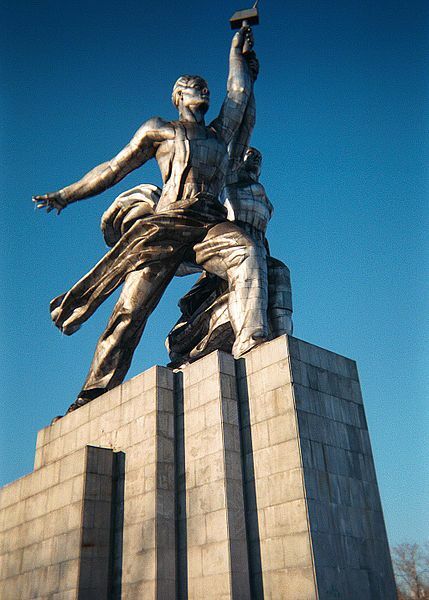 The monument was created for the Soviet pavilion at the worldwide exhibition in Paris in 1937 . The art piece represents a dynamic monument of two figures (young man and young woman) with a sickle and a hammer raised over their heads. It is 24.5 meters (78 feet) high, made from stainless steel by Vera Mukhina. The concept of the sculpture belongs to Boris Mihailovich Iofan- Soviet architect, known for his Stalinist architecture buildings). 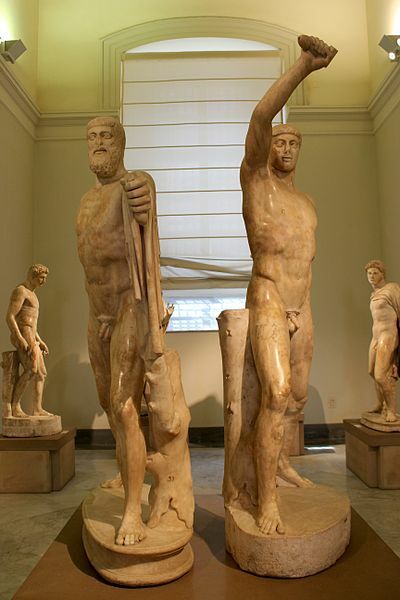 Interesting fact: The creation of Worker and Kolkhoz Woman was inspired by antique statue Tyrannicides Harmodius and Aristogeiton.